Sky has beaten Amazon Prime in NZ for the rights to The Looming Tower, a dramatisation of the Pulitzer Prize-winning book subtitled Al-Qaeda and the Road to 9/11. The 10-part series was commissioned by US streaming service Hulu and picked up globally by Amazon Prime for more than 200 of its territories. But NZ won’t be among them because of Sky’s deal for the premiere broadcast rights. That’s great news for Sky subscribers but disappointing for Amazon Prime’s, who will miss out on seeing it here in 4K — which is a big loss given the calibre of the production. “The production values of this adaptation are outstanding and it is important to both Sky and Legendary TV that a story of this magnitude deserves to be screened in a respectful manner,” Sky Head of Entertainment Content Karen Bieleski says. Expected to screen early next year, The Looming Tower traces the rising threat of Osama Bin Laden and Al-Qaeda — and how the rivalry between the CIA and FBI may have inadvertently set the stage for the 9/11 tragedy and the war in Iraq. It stars Jeff Daniels, Alec Baldwin and Peter Sarsgaard, was adapted for television by Dan Futterman (Foxcatcher, Capote) and directed by Alex Gibney (Going Clear: Scientology and The Prison of Belief, Taxi to the Dark Side). 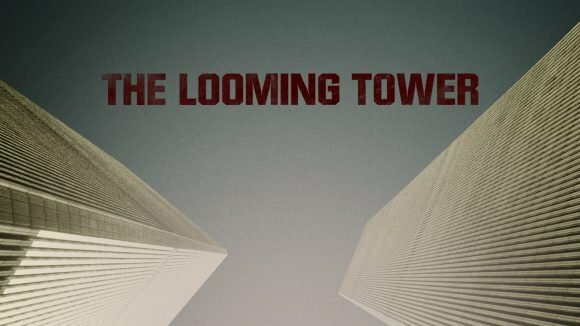 “The Looming Tower is an important piece of factual storytelling brought to life by an incredibly talented and award-winning creative team and cast,”Michael Grindon, President, Worldwide Distribution, Legendary Television, said in the press release. “From the exceptional writing to the high production values, viewers will experience first-hand what really happened in the months and days leading up to 9/11. Can still watch it on Amazon Prime US. Yes, but not in 4K like you can on the Amazon Prime NZ app for Smart TVs.